TPO Flashing Membrane, 60 mil, WHITE, non-reinforced, 1x50 ft. 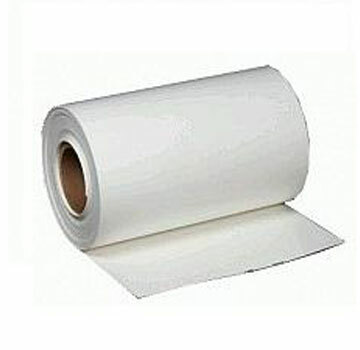 PRODUCT: TPO Flashing Membrane, 60 mil WHITE Non-Reinforced, 12 inch Wide x 50 foot Roll. Price/Roll. TPO Flashing is a non-reinforced thermoplastic polyolefin based membrane used for field fabricated pipe flashings, sealant pockets and scuppers when the use of a pre-molded accessory is not feasible. TPO Flashing is standard in 12" and also available in 24" widths and a 6" wide reinforced version. Gray, Tan and White colors are available.